Nintendo is back with more cardboard crafting. 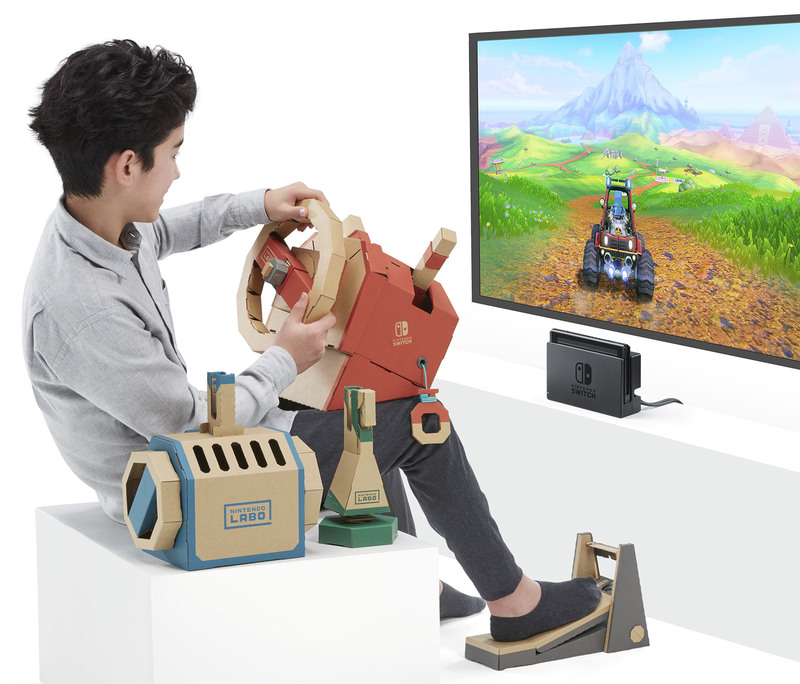 The “Nintendo Labo Toy-Con 03: Drive Kit” (Vehicle Kit overseas), released this month for ¥7,538, allows players to build a steering wheel, a flight stick and submarine controls, which they can then test out with the “Nintendo Labo Drive Kit” software. The steering wheel kit is called Toy-Con Car and features gear change levers and a gas pedal, while the Toy-Con Plane flight stick has a trigger for players to fire missiles. The Toy-Con Submarine controls involve rotating discs on each side that let players dive deep underwater. The neatest part, though, is that players must craft Toy-Con Key covers that fit over Joy-Cons to turn them into different keys. The keys are then used with the cardboard constructions to activate the cardboard peripherals. 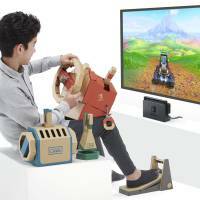 Players can experience all three vehicles with the Nintendo Labo Drive Kit software, but those with “Mario Kart 8 Deluxe” will also be able to use the Toy-Con Car to control their characters. The game is already Toy-Con Motorbike compatible, so now players can race against friends in different vehicles to see who’s the master of cardboard peripherals. | © 2018 CAPCOM CO., LTD.
Last year, one of Capcom’s most iconic characters Mega Man, turned 30, and the company decided the best way to celebrate the character’s anniversary would be to announce a new “Mega Man” title this year. 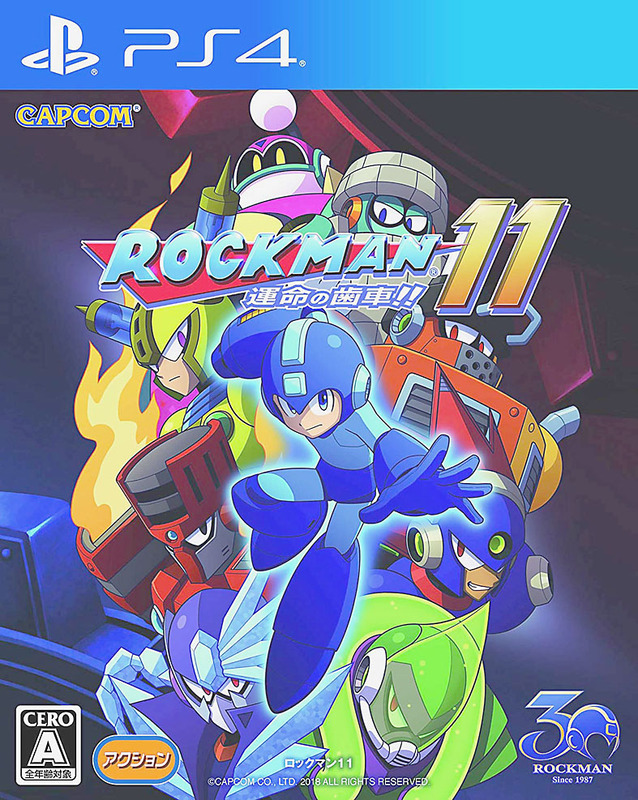 “Mega Man 11” (“Rockman 11” in Japanese), is the first main series entry since 2010’s “Mega Man 10.” The blue-suited little robot is back, but this time he has two new special powers, or “gears” as they’re called in-game. The Power Gear powers-up Mega Man, especially his Buster shots, allowing him to fire faster. The Speed Gear, meanwhile, changes the pace to a cinematic slow motion, allowing players to better dodge attacks or pinpoint enemy weaknesses. Unlike the previous “Mega Man” title, which Capcom co-developed with Chiba-based Inti Creates, a game studio populated with “Mega Man” vets, the latest entry was designed in-house at Capcom. The results are pleasing 2.5D graphics, a mix of 3D polygon characters and 2D platforming, quick action and quirky robot enemies, and it looks set to please fans who’ve been playing “Mega Man” for decades. 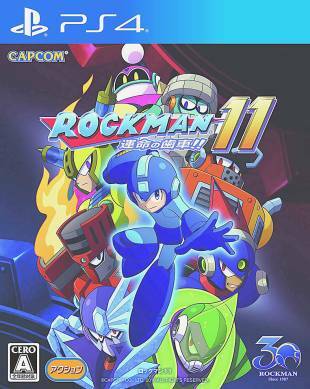 Released on Oct. 4 (Oct. 2 overseas) for the PS4, Nintendo Switch, Xbox One and Steam, the package version of “Mega Man 11” is ¥5,389, while the Xbox One and Steam versions are download-only for ¥4,990. | © 2007, 2018 SQUARE ENIX CO., LTD. Originally released in 2007, “The World Ends With You” (“Subarashiki Kono Sekai” in Japanese), one of the most interesting games to ever hit the Nintendo DS, is now getting an updated version for Nintendo Switch. Set in Shibuya, “The World Ends With You” features the Tokyo district’s iconic locations with slightly different names. For example, the Shibuya 109 shopping mall is now 104 and where Parco once was, is the Molco building. 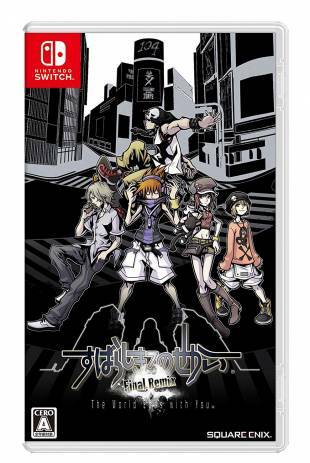 “The World Ends With You” is set over the course of three weeks, during which time cool Japanese youth are drawn into a game that decides their fate. With artwork by famed “Final Fantasy” character designer Tetsuya Nomura, the game stylishly reflects late 2000s fashion and has a killer soundtrack. After getting iOS and Android ports, the game is now coming to the Nintendo Switch as “The World Ends With You: Final Remix” for ¥5,184 on Sept. 27 in Japan (Oct. 12 overseas). And it features a new scenario as well as new Switch-friendly Joy-Con and touchscreen controls.